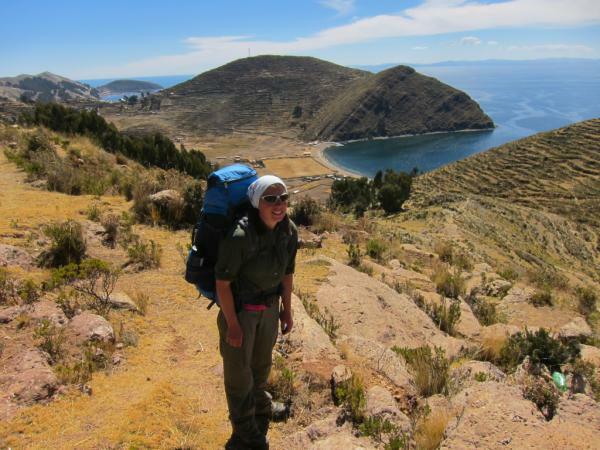 We didn´t go over any high passes on our hike around Isla del Sol, but they do not call it the Island of the Sun for nothing. The sun is incredibly intense on the island, and we both left the island sunburnt despite using lots of sunscreen. Unfortunately, our malaria medication makes us more susceptible to the sun, which was not good on Isla del Sol. 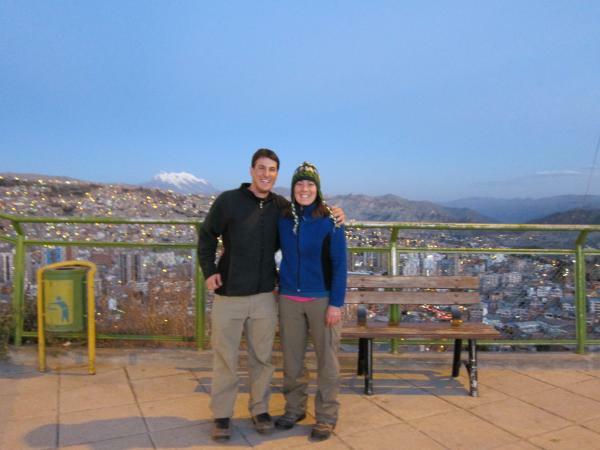 We´re back in La Paz for a day, and tomorrow night we take an overnight bus to Potosi. 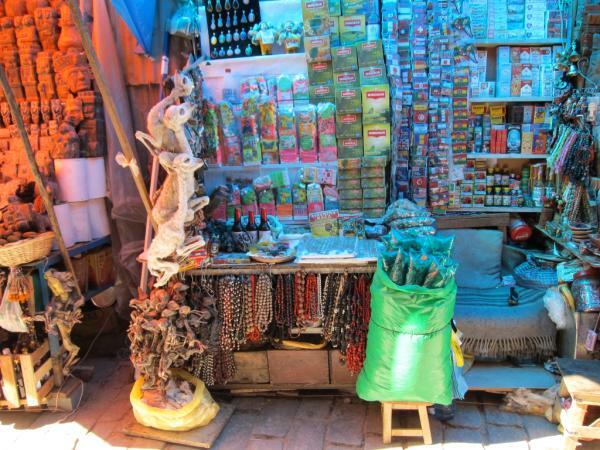 Tomorrow we head to Lake Titicaca. 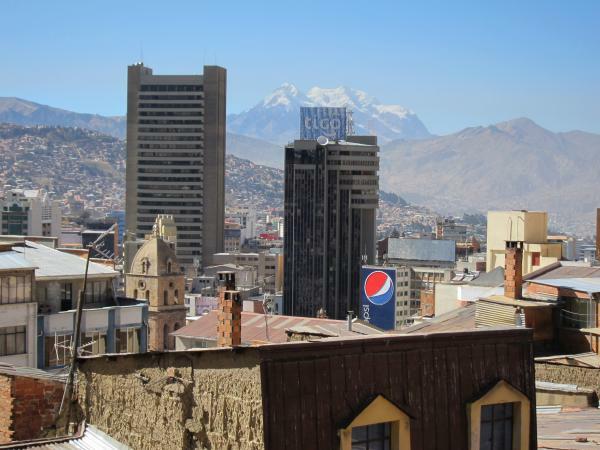 Today is the independence day for La Paz, Bolivia. 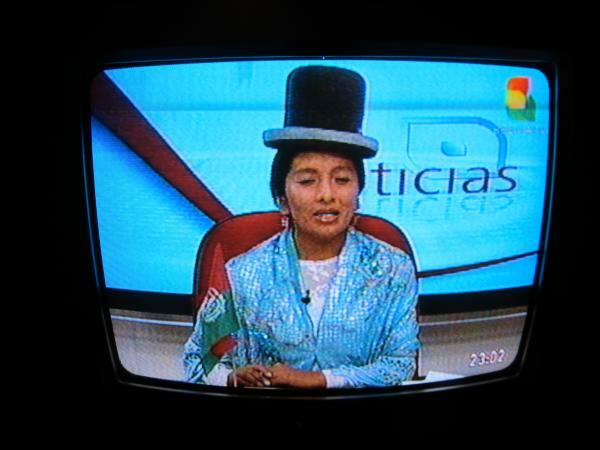 They were celebrating 201 years of independence. 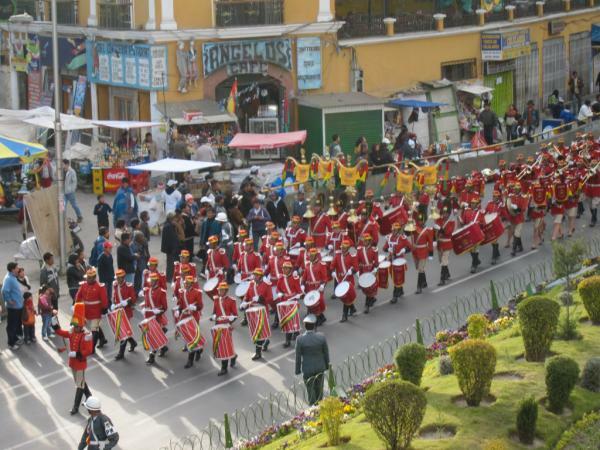 There was huge parade with all the military groups and their marching bands. Check out the photos. We spent another day exploring the city. Check out the photos. The famous llama fetuses. When you build a house, you are supposed to bury one under the foundation for good luck. We don´t know how these are created, and don´t want to know. We ran into some sort of cultual thing. 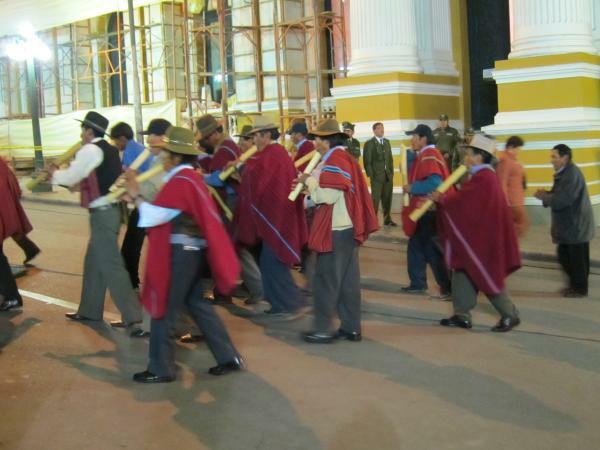 There were 20 groups from each of the 20 cultures of bolivia playing in front of the presidential palace. There was a whole set of stands full of politicians. Every time one of the politicians would get up to dance, everyone would cheer. But we had now idea who any of these people were. I did learn that the ladies in bowler hats and Incan dresses can dance really well. We heard loud noises that sounded like gunshots from our hotel this morning, but no one seemed to be concerned about it at all. 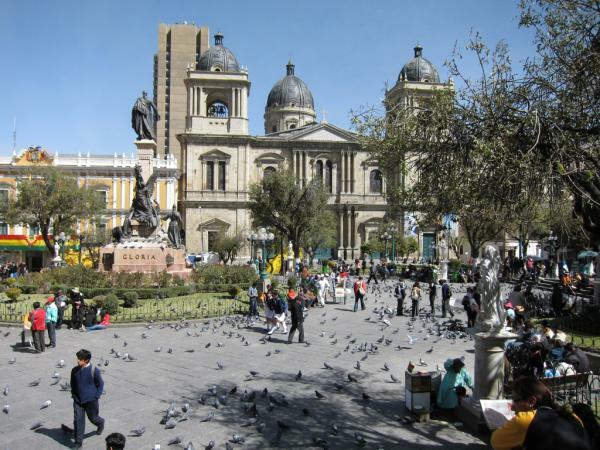 We went for a walk around the city, and we discovered that the source of the noises was a political protest on Plaza San Francisco. We couldn´t understand what they were protesting, so we asked someone in the plaza. 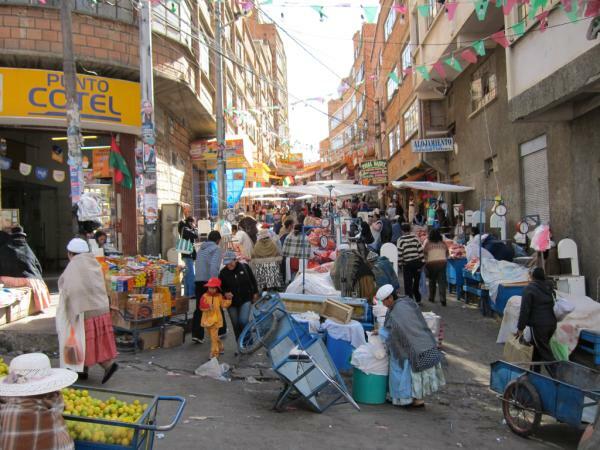 They didn´t know what they were protesting either, but this is something that happens in La Paz every couple days. 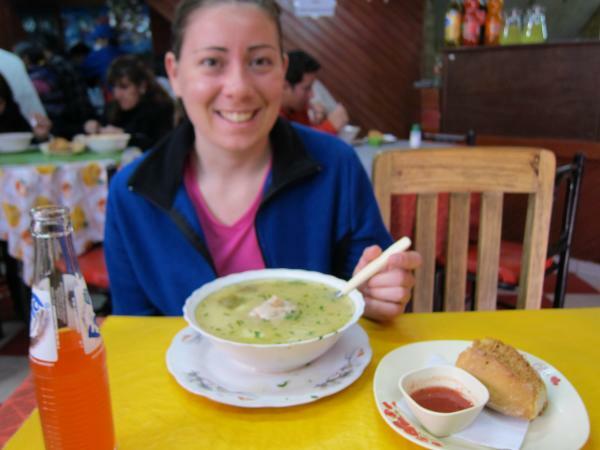 After a really long day of traveling, we made it to La Paz! 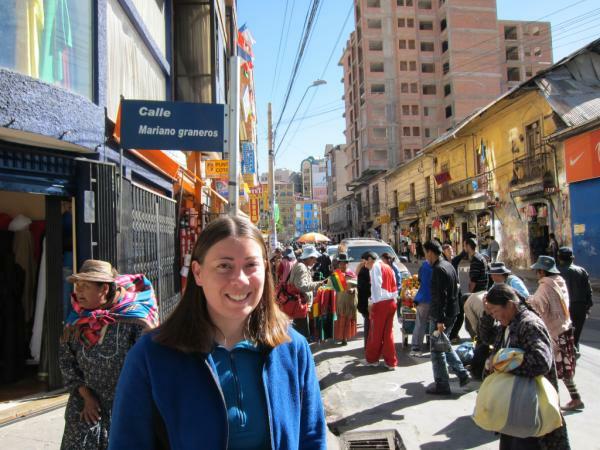 Everything went smoothly, and we made it to our hotel in La Paz without a problem. 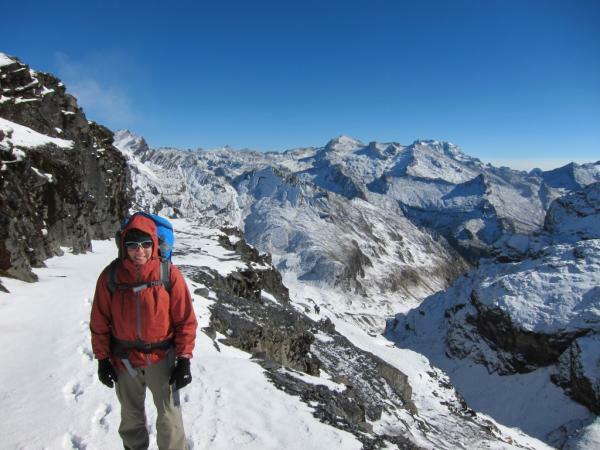 Traveling into La Paz is not for the faint of heart. The airport is at over 13,000 feet, and we could feel the the altitude right away. Both of us were a bit lightheaded. Fortunately, the airport is above the city, so when we went to the hotel, we immediately went down 1,000 feet, which was much better. 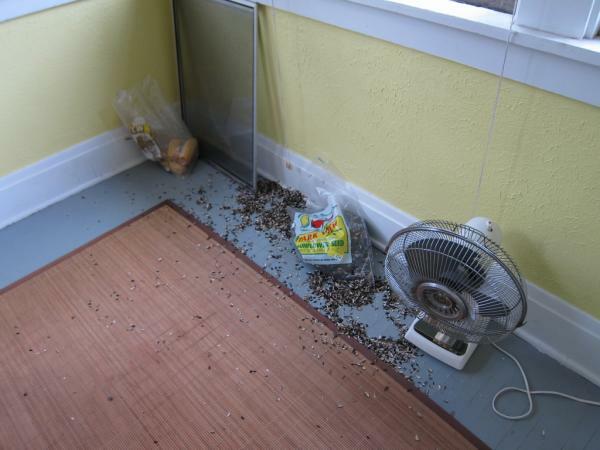 After spending July 4th weekend in Chicago, we returned to find a mess in the sunroom. 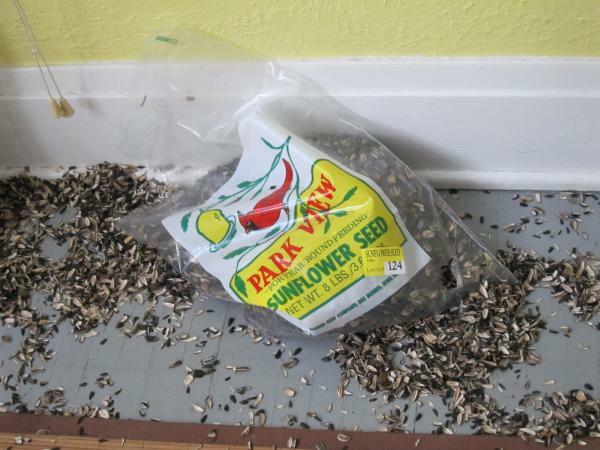 There were sunflower seeds all over the floor, and there was a hole in the bottom the bag of sunflower seeds. 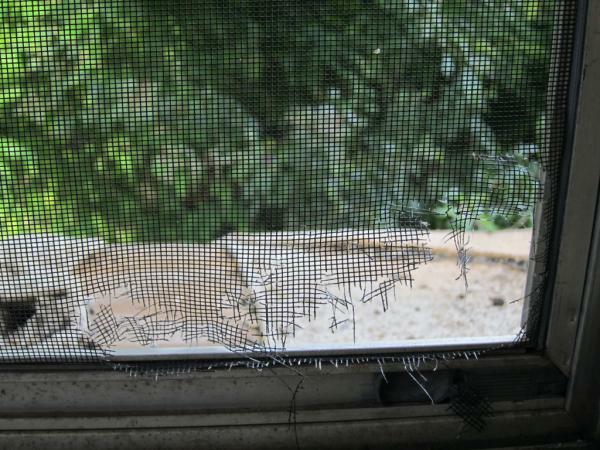 Upon closer inspection, we realized that squirrels had broken into the sunroom while we were gone! They tore a hole in the screen window and used the hole to get into the sunroom and eat all the sunflowers seeds they wanted. The squirrels have given up on begging us for food and resorted to thievery!